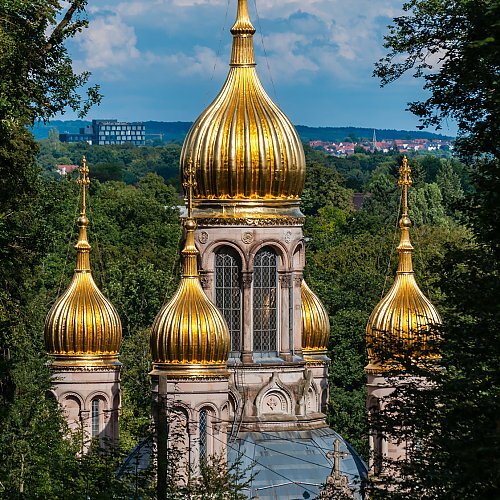 Up on the Neroberg Hill not far from the Hotel de France you find the golden Russian Chapel. Built between 1847 and 1855 as a Grave-Church in russian bysantine style. Duke Adolf of Nassau built the church on the occasion of the early death of his wife, the 19-year-old Russian princess Elizabeth Mikhailovna, Grand Duchess of Russia and Duchess of Nassau (1826-1845). A little tip: Go there via Wiesbaden's Neroberg Water Train! 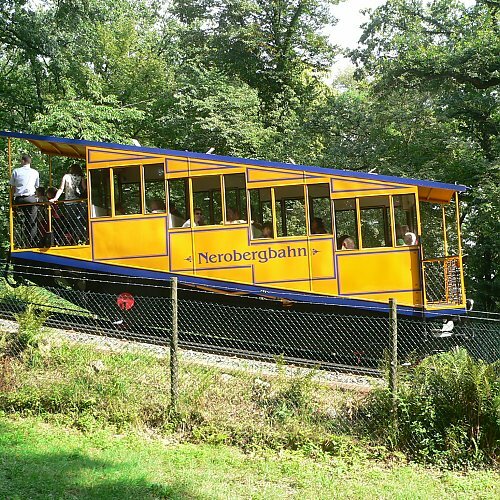 Loved by tourists and locals the 'Neroberg-Bahn' runs uniquely on water and has been running since the year 1888! You can sit in the closed cabins or if the driver is in a good mood you can stand out front with him. Children especially love this train. Once up the hill you have a wonderful view over Wiesbaden and can wander to the Russian Chapel or the Opel Swimming Pool or go to the Tree Climbing Park or just have drink in the Cafe located on top. 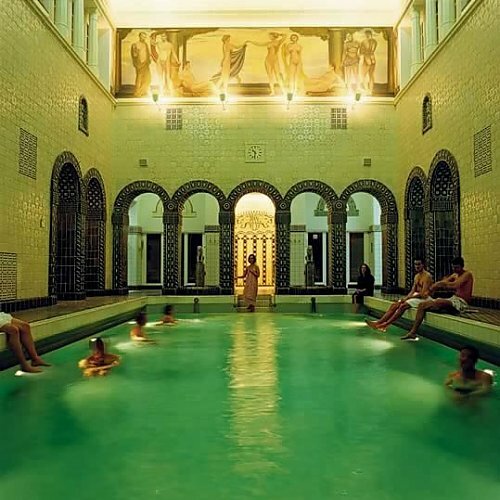 These hot springs baths are all about relaxation in grand european style. The baths themselves are delightful, but a whirlpool and several saunas are available. It is all designed in old roman bath style, which makes it an extra special experience. The water comes from Wiesbaden's second largest natural spring and is naturally at a temperature of 64,6 °C. Please be aware that it is textile-free (that means no swimsuits folks!) . Bathe like a King! 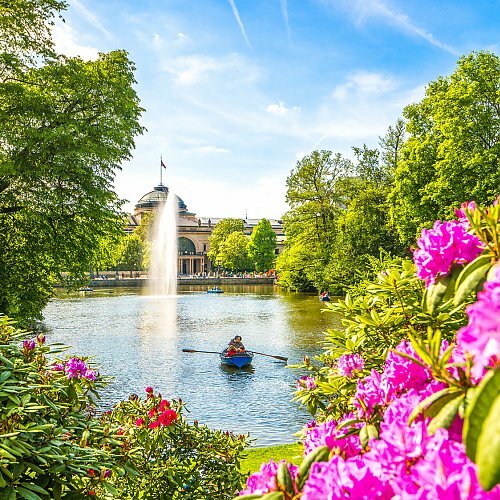 Wiesbaden main park was created in 1852 with english landscaping in mind. It is 75.000 m² an runs a long a shallow valley from the Opera House to the city district of Sonnenberg. A walk through the park in May is unforgetable with the lovely blooming Magnolias and the grand villas on either side. In the summer one can take a paddle boat onto the pond with its six meter high fountain. Sometimes there are outdoor concerts on sundays. A great place to picnic or just chill out. The Hessisches Staatstheater Wiesbaden is the State Theatre of the German state Hesse in the capital Wiesbaden, producing operas, plays, ballets, musicals and concerts on four stages. 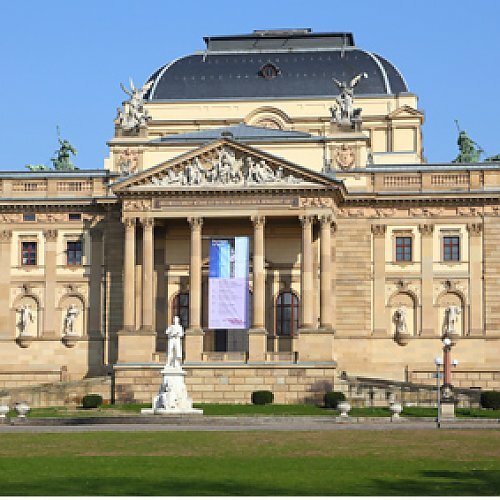 It is also known as Staatstheater Wiesbaden or Theater Wiesbaden, its orchestra as the Hessisches Staatsorchester. The building was inaugurated in 1894. The theatre is the host for the annual festival Internationale Maifestspiele Wiesbaden, established in 1896 after the Bayreuth Festival. Wiesbaden's old town has been wonderfully preserved and is worth a visit. The "Altstadt" is the heart of the city center of Wiesbaden. It is very beautful with cobblestone pedestrian streets, squares and boulevards. 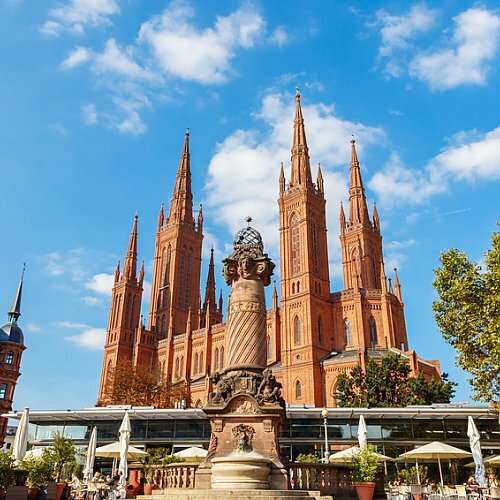 The Marktkirche (Market Church) is the landmark of Wiesbaden's city center and the city's tallest building. Here is a good starting point for shopping, sightseeing and dining. There is a wonderful farmer's market and loads of festivals throughout the year.